Tons of video games came out in 2014! I did a few reviews on some of these games but not all of them quite yet. So, instead of making a bunch of individual reviews on each game (which I still might do...), I decided to pick my favorite, and not-so-favorite, games that came out in 2014. 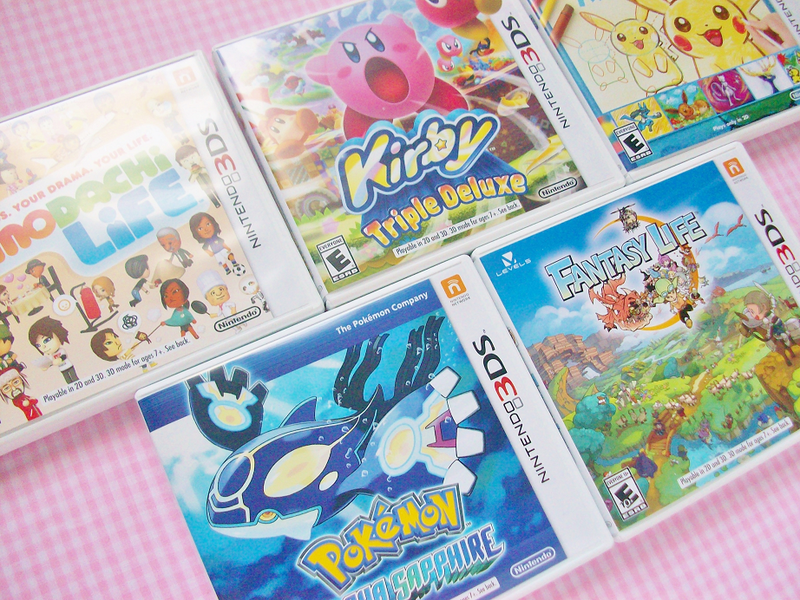 These are the five DS games that I enjoyed the most. 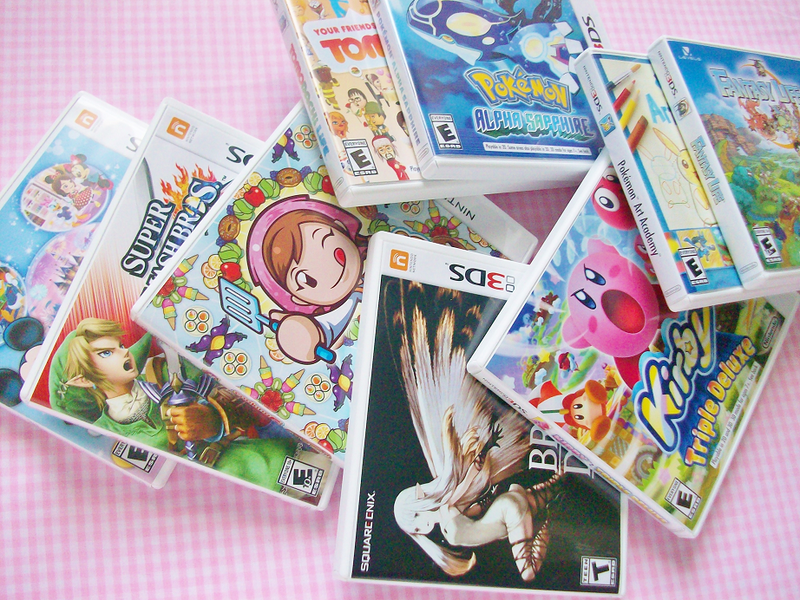 I couldn't simply pick just one favorite video game so I picked five instead. Let's start with the life simulation game: Tomodachi Life. It's a game about mii's that you can customize and play around with. You basically get to run their lives by feeding them, dressing them, play mini games and even create relationships and families! This game is so quirky and cute I love it! Check out the full review here! This was one of the games I was most excited about because of Kirby! I first got into Kirby a few years ago when I played Kirby's Epic Yarn for the Wii. 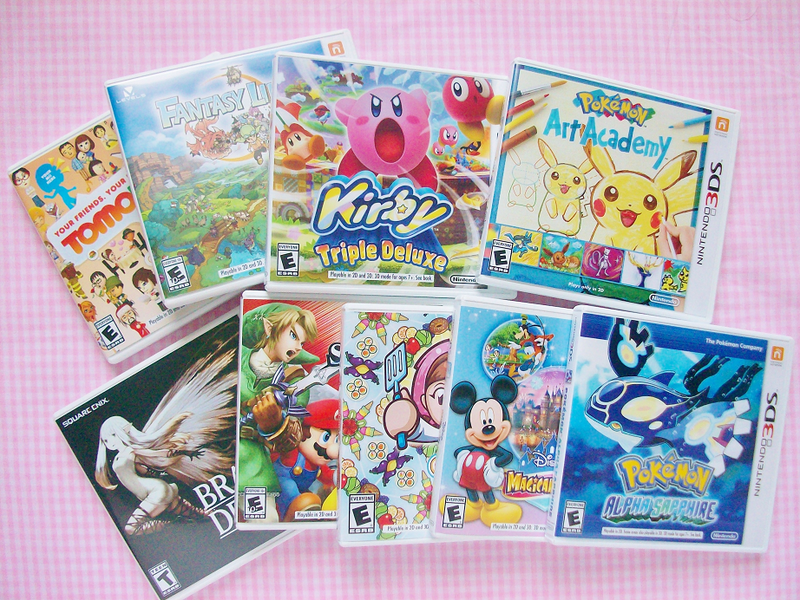 Ever since, I've been trying to expand my Kirby collection by playing new and old games. 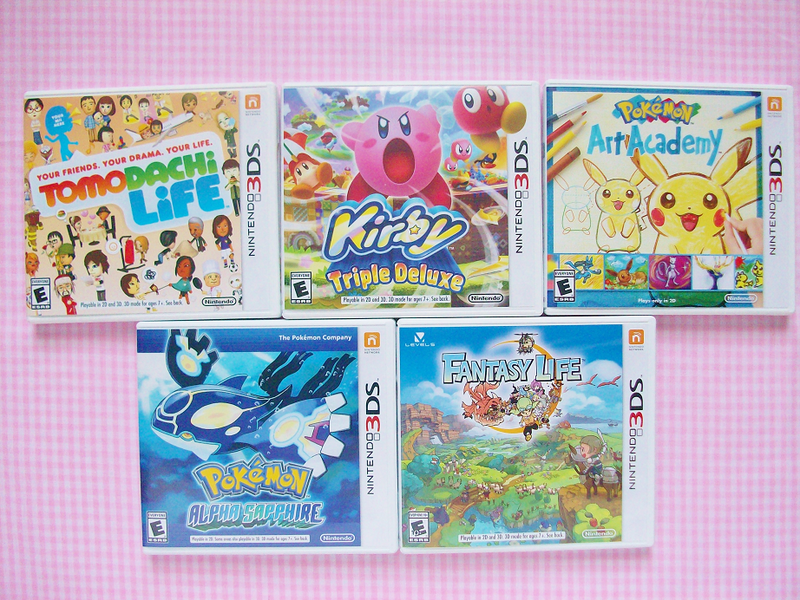 Kirby Triple Deluxe is the newest edition to the Kirby family. It's a new action adventure game that Kirby fans will surely enjoy! Check out my full review here! The artistic side of me absolutely loved Pokemon Art Academy! You get to draw Pokemon using a variety of art supplies and art styles. If you enjoy hearing a pencil scribbling on paper then you will enjoy this game. Expect a full review on this game soon! The remake of Pokemon Ruby and Sapphire was definitely a huge release last year! It takes the old-school favorites but the with a few twists, including the mega evolutions that were featured in Pokemon X and Y. To be honest, I got a little bored half-way through because it was so similar to X and Y. However, this will definitely be a fun game for fans of the old games. Last is the game that surprised me: Fantasy Life. I randomly bought this game after seeing a few reviews online. I instantly became addicted to this game for weeks. It's a role playing game that takes you on various quests through the fantasy world of Reveria. It's pretty similar to the Final Fantasy games, so if you love those games I would highly recommend Fantasy Life. 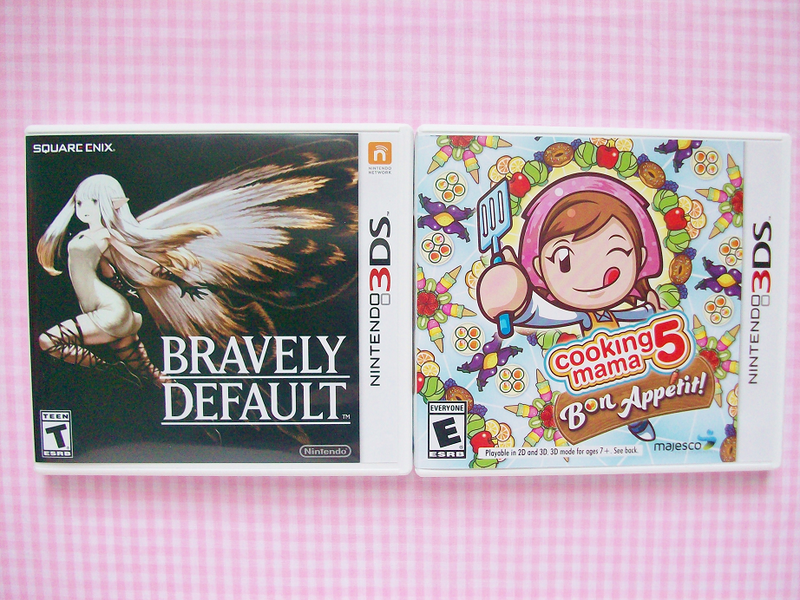 These two games, Bravely Default and Cooking Mama 5: Bon Appetit!, were neither amazing nor horrible, but something in between. Basically, these games are the games that could have done better. From the people who bring you Final Fantasy comes another RPG that follows the lives of 4 characters. I started playing this in the beginning of last year. As much as I loved the graphics, fighting, and costumes, I wasn't a fan of the story line or the voice acting of some characters. (Some of the main characters's voices made me cringe.) Also, the game is pretty long, which may or may not be a downside for some people. I can only go a month of playing a game before it becomes boring. I still play Bravely Default from time to time but when I do I'm not glued to it like when I first started. Check out my review on Bravely Default here. Cooking Mama 5 Bon Appetit! I was really excited when I found out that there was a new Cooking Mama game coming out. I've played every single Cooking Mama game so far. While Bon Appetit stayed true to the previous Mama games, I felt that this one didn't have enough interesting recipes compared to the other games. (It lacked desserts!). However, it did have a lot of fun mini games which entertained me. Read my review on this game here. 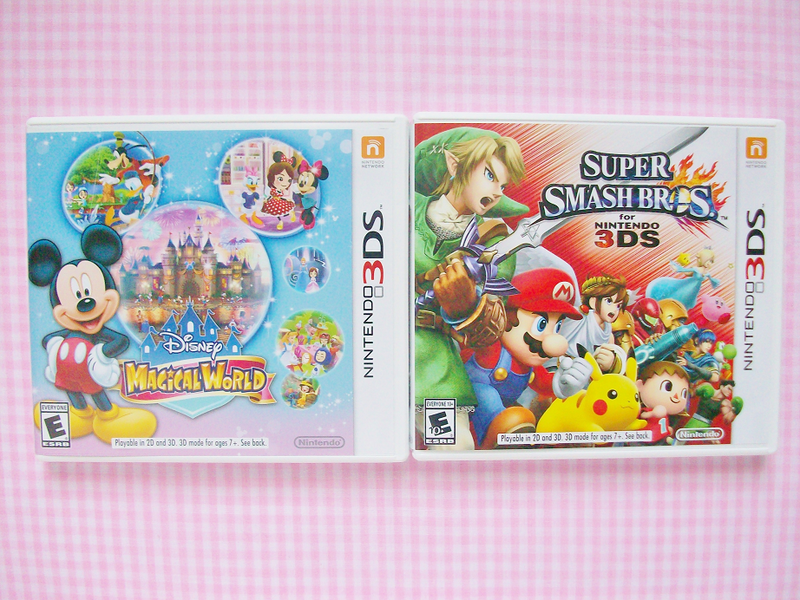 The two games that were my least favorite of the bunch are Disney's Magical World and Super Smash Bros. Both of these games aren't bad they just weren't my absolute favorite games. Starting off with Disney Magical World. I bought this game because I thought it would be cute and, well, magical but after playing it for a few weeks I got bored with it. There isn't really a story to the game. You just have to go on tasks and the whole game is just a bunch of mini games in one. And to those who say this game is like Animal Crossing: There is no game can come close to Animal Crossing. Review here! This game was probably the most talked about in the gaming world. I played it for like about a week, or until I unlocked all of the characters, and then I stopped playing. Don't get me wrong; I loved the new roster of fighters they added to the game but I wish they had added a story line like they did in SSB Brawl. I also found that the other mini games they had were pretty hard for me. Check out the review here!